From venue, to caterer, to florist, to band, we know how overwhelming preparing for the big day can be. So we took care of the hard part. We know how overwhelming preparing for your wedding can be. saratoga living did a bit of the heavy lifting for you with this comprehensive guide to all things Saratoga weddings. 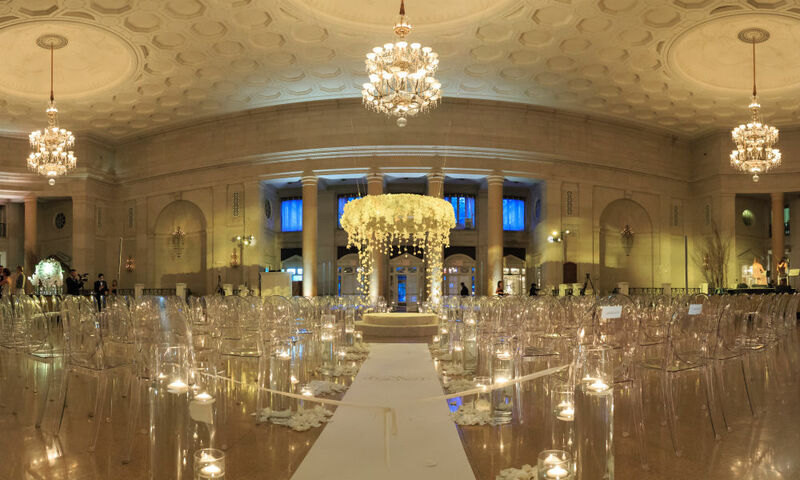 Below, find a range of wedding (and rehearsal dinner) venues, wedding dress boutiques, wedding bands, wedding cake-bakers, wedding planners, wedding photographers and so much more. 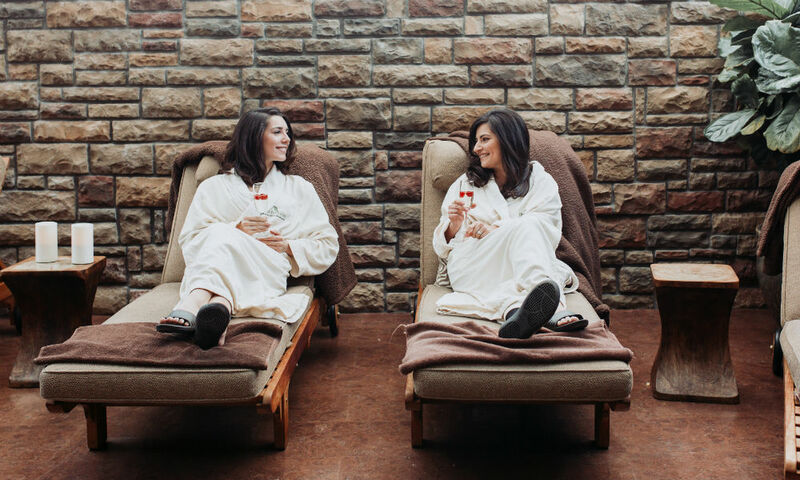 Anne’s Washing ton Inn, set on a hill just outside Downtown Saratoga Springs, is the perfect place for an intimate wedding: If you rent it out, you and your family and friends are the only guests at the inn at that time. Like Anne’s Washington Inn, when you have a wedding at this Victorian era gem located on Circular Street, you can rent out all nine rooms, which gives you exclusive access to the entire historic mansion, with staff, breakfast every morning and full use of the beautiful grounds. The Canfield Casino, once an iconic gambling destination for Saratoga’s most prominent visitors, transports guests back in time to the city’s Golden Age. Embrace the history of the Spa City right in the heart of its contemporary Downtown area. With 8277 total square feet of event space, the Courtyard Marriott on Excelsior Avenue can accommodate up to 532 wedding guests and is ideal for lodging out-of-town guests. Another historic Saratoga staple, The Gideon Putnam offers more than 12,000 square feet of indoor and outdoor event space in the heart of the beautiful Saratoga Spa State Park. Located on the Saratoga Performing Arts Center (SPAC) grounds in the Saratoga Spa State Park, the Hall of Springs can seat up to 500 guests, making it one of the largest wedding venues in the area. Longfellows, a wedding destination nestled between Saratoga Lake and the city of Saratoga, features a 50-room, boutique-style hotel; a charming tavern with three wood-burning fireplaces; a wedding banquet room; and the courtyard, a rustic enclosed space between two barns. Yet another gorgeous wedding venue in the Saratoga Spa State Park, the National Museum of Dance offers three unique locations for your big day: the elegant Foyer, the airy Southeast Gallery and the open-air, private courtyard. The Pavilion Grand Hotel is a balanced blend of outstanding accommodations, exceptional guest services, ideal location and amenities, including the Make Me Fabulous Salon And Spa, Fish At 30 Lake restaurant and a rooftop event space overlooking Downtown Saratoga. One of the most scenic properties in Saratoga, Saratoga National Golf Club is the whole package: elegant and ornate interiors and a beautiful covered terrace patio overlooking its 18-hole golf course. 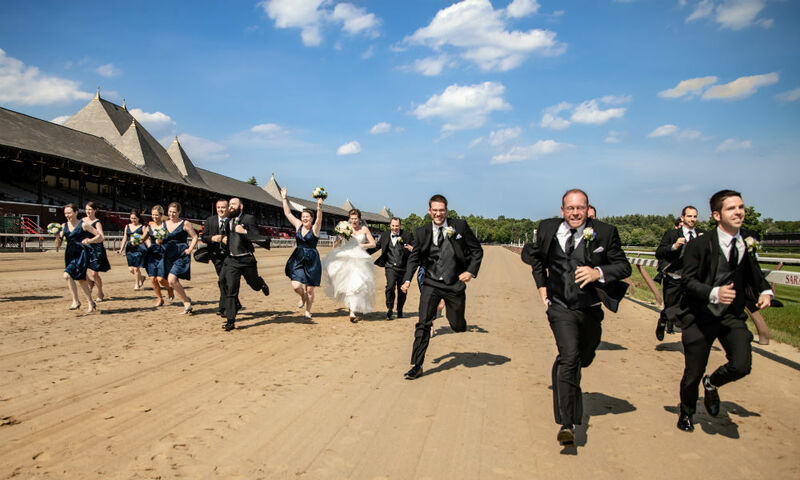 Saratoga Race Course is a true horse-lover’s dream wedding venue. With this year’s development of the track’s 1863 Club, couples will get access to yet another uxury location for their special day in Saratoga. The crown jewel of Downtown Saratoga, the beautifully renovated, historic Adelphi Hotel is the perfect blend of sophistication, luxury and history. A perfect option for an intimate wedding, The Inn At Five Points can host 25 guests for an indoor wedding or 50 for an outdoor affair. You can also rent out all seven guest rooms, and all catering is provided onsite, with fresh, farm-to-table ingredients. Beautiful cedar walls, oak and pecan floors and beautiful landscaping help make a wedding at The Lodge—Saratoga Casino Hotel’s luxe event space—the perfectly elegant and intimate atmosphere. A family-run business for more than 25 years, Danielle’s Bridal Boutique on Route 50, just past the Wilton Mall, is your one-stop shop for all your formal wear needs, including, obviously, wedding gowns! 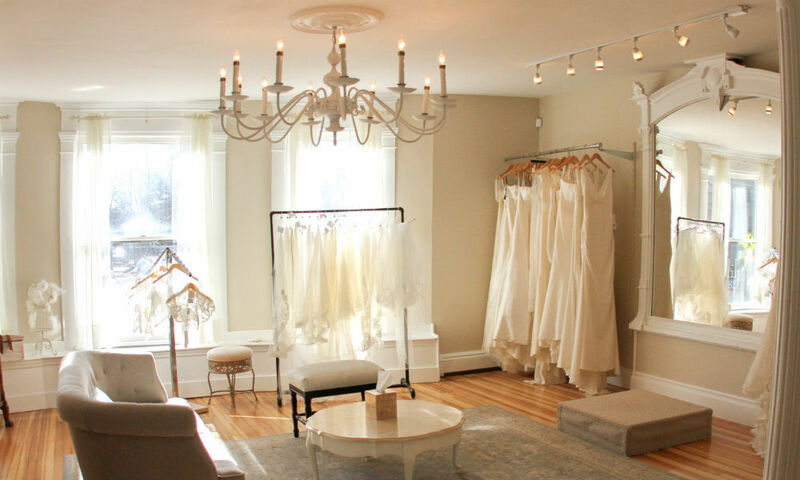 A charming and elegant boutique housed on the first floor of a historic yellow Victorian, Lily Saratoga has a family of consultants ready to work one-on-one with each bride to understand her, her sense of style and how she wants to look (and feel!) on her wedding day. 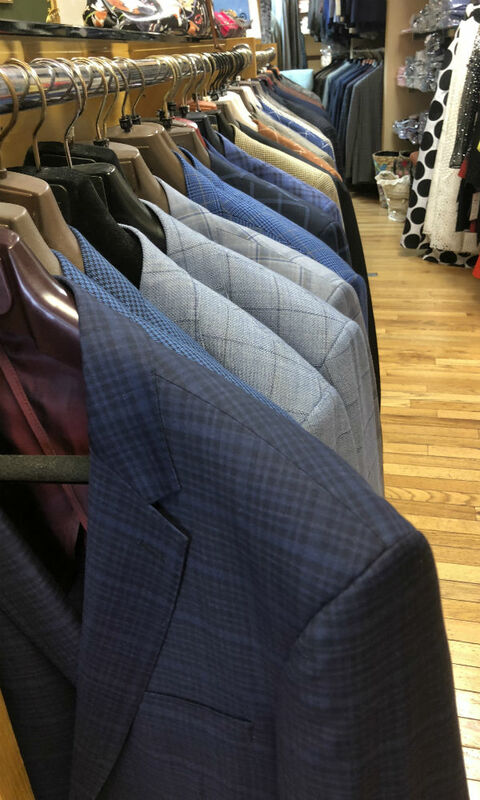 Specializing in Italian luxury suits, La Sartoria of Saratoga, located on Broadway, offers tuxedo sales and rentals as well as Italian- and custom-made suits. Its on-site tailor also offers free alterations. The Jos. A. Bank location on Broadway in Downtown Saratoga is one of more than 500 stores nationwide. With a full selection of men’s tailored and casual clothing, including tuxedos available for purchase or rent, it’s a wedding go-to for a groom-to-be and his groomsmen. With two convenient locations in Saratoga County, Mr. Formal Wear is a family-run business that offers suits of all styles for sale, and tux rentals aplenty. Mr. Formal Wear will also work with (and fit) your out-of-town groomsmen. With more than three decades of catering experience, Mazzone Hospitality goes everywhere and does everything. 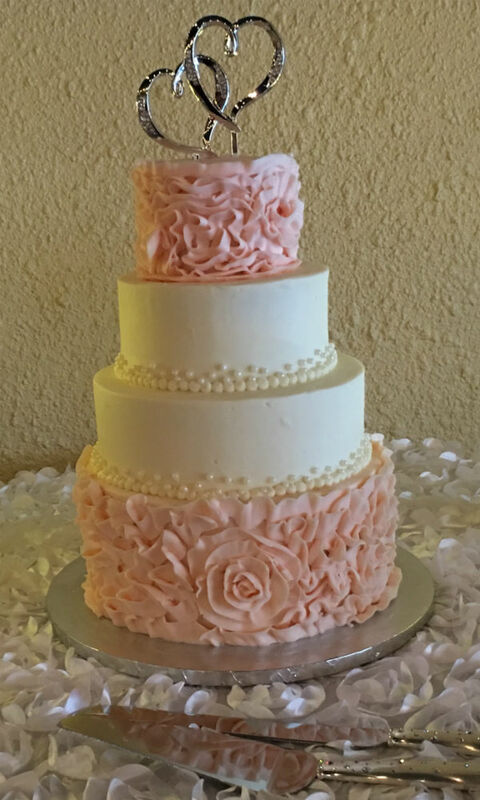 The Mazzone experience includes stress-free planning with personalized menus, skilled event managers and bridal attendants, an in-house design department, custom wedding cakes and more. Offering a quirky yet sophisticated take on wedding catering, The Airstream Catering Co.’s mobile kitchen—housed in, yes, an Airstream travel trailer—offers an endless variety of customizable options, from classic American comfort food and contemporary Mexican to farm-to-table favorites. Old Daley is a full-service custom catering company servicing the Capital Region and beyond. (It has “preferred” status at Saratoga venues such as Canfield Casino and the National Museum of Dance.) The Old Daley team takes pride in approaching weddings with the same care and concern it has for its own family. Winner of weddingwire.com’s 2017 Couples’ Choice Awards, Funk Evolution is an octet that combines pop, rock, gospel, soul and R&B into its unique, funky sound. Led by local celebrity and “soulist” Garland Nelson, Soul Session is a high-energy ensemble that performs multigenre soul music and makes the audience the center of attention through call-and-response numbers and danceable tunes. 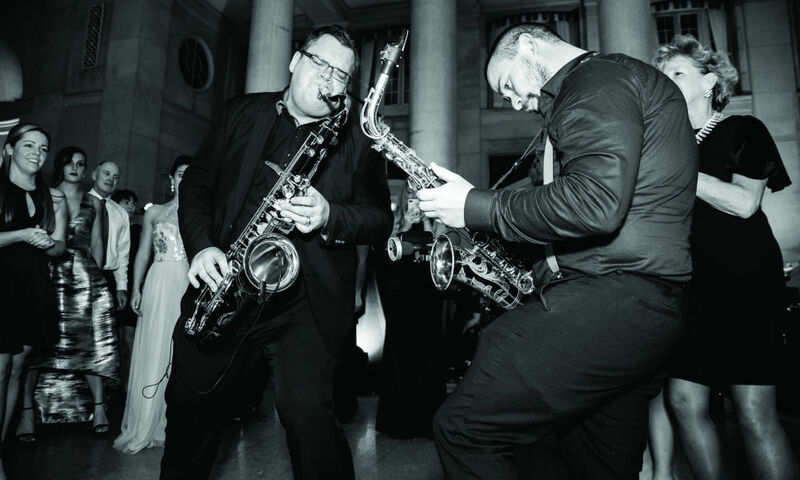 Self-proclaimed New York dance party experts, the New York Players, based in Albany, are an entertainment powerhouse, performing everything and anything, from jazz and rock to disco and Motown. Alissa Woods of Cake By Alissa takes pride in baking cakes that actually taste as good as they look. 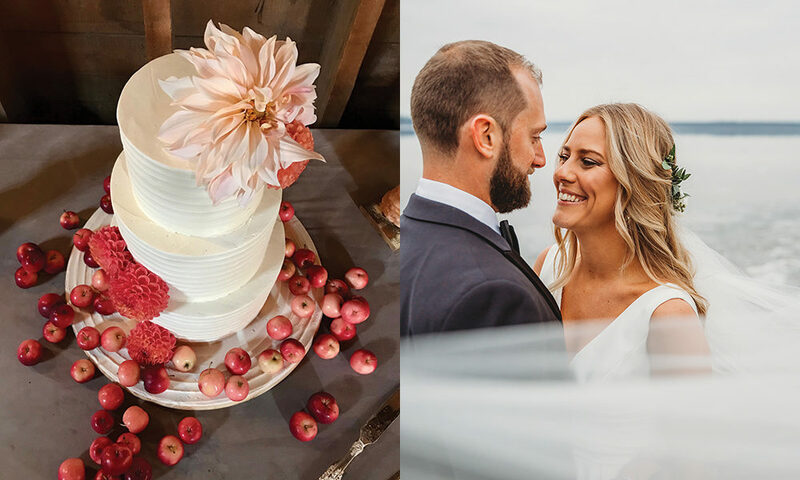 Servicing Upstate New York and The Berkshires, Owner Austin Bayliss creates unique and customized wedding cakes that take a couple’s vision and turn it into something both beautiful and delicious. Alissa Woods of Cake By Alissa takes pride in baking cakes that actually taste as good as they look by using quality ingredients. Her commercial kitchen is located in the village of Schuylerville, and she bakes all her cakes to order. The Dolce & Biscotti team believes, next to the bride, the wedding cake is the star of the reception. The fine Italian bakery, located in Clifton Park, offers complimentary consultations—with tastings, of course—so you know you’ll be getting (and eating!) the absolute best. Have your rehearsal dinner at this historic, 18th-century staple, located on Maple Avenue just outside of Downtown Saratoga. With a cozy, warm atmosphere—the restaurant has multiple fireplaces—the Olde Bryan Inn has its own in-house event planner to help plan your big pre-wedding night. Craft beer, cocktails and a full menu of appetizers, entrees and desserts made from scratch await at the popular Saratoga spot, located on Henry Street. The Blue Hen offers a variety of private dining experiences from intimate moments to sparkling celebrations. 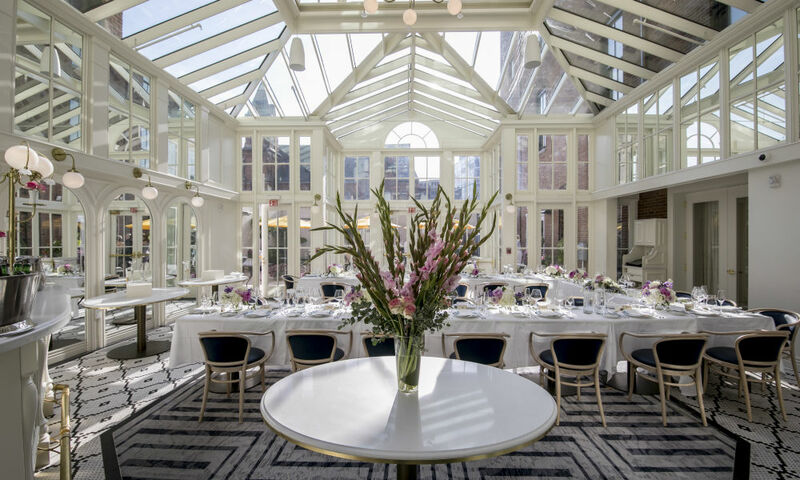 An elegant rehearsal dinner option located inside The Adelphi Hotel, The Blue Hen offers a variety of private dining experiences—its menu is the brainchild of celebrity chef David Burke—from intimate moments to sparkling celebrations. Play 18 holes at Saratoga National Golf Club, try your luck at the Saratoga Casino Hotel and then head to Caroline Street for a night of drinking, dancing and bar-hopping. Complexions Spa is the perfect place for a relaxing bachelorette party. Relax with your friends at a Complexions spa day, have an unforgettable Italian dinner at Osteria Danny and take the party to Hamlet & Ghost for its signature cocktails. The ultimate Saratoga Springs bachelor or bachelorette party: Spend a day at the races and night at a Live Nation concert at SPAC. World-renowned event and wedding planner Colin Cowie set up an outpost in Saratoga last year, and has been bringing his highly stylized, formal events to the Spa City ever since. Tonya Pellegrini-Lawrence has been planning, managing and executing local and national events for the past 15 years, and in that time, has gained a reputation for her passion, creativity and grace. Her weddings are legendary. Based in Ballston Spa, with offices in New York City and Newport, RI, Christine A. 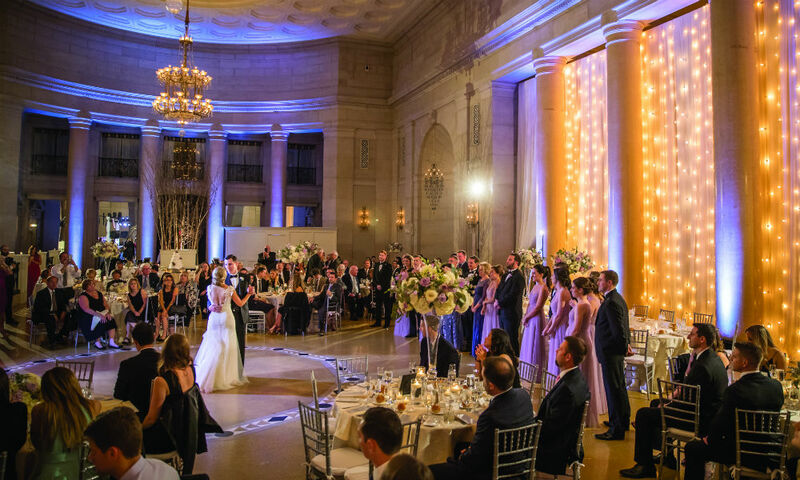 Wheat Special Events Firm, LLC is a full-service event-planning, coordination and consulting firm that’s dedicated to providing clients with personalized, boutique services with the expertise of a national firm. 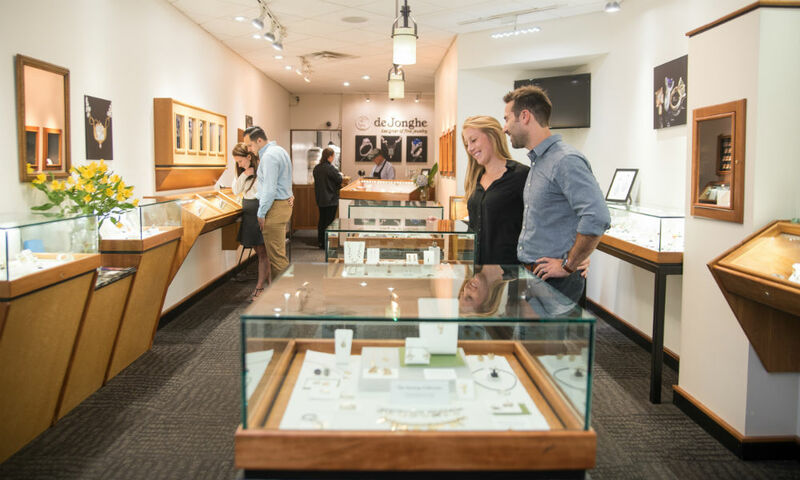 n. Fox Jewelers, which has been located on Broadway in Downtown Saratoga since 1977, is known for its diverse selection of quality jewelry and the expertise of its employees, who are always on-hand to help you pick out the perfect ring. Another Saratoga mainstay, Downtown Saratoga’s deJonghe Original Jewelry has been offering custom jewelry since Dennis and Peggy deJonghe opened the store on Caroline Street in 1982. Since then, deJonghe’s original designs have garnered worldwide recognition for their beauty, quality and elegant lines. Frank Adams Jewelers in Albany’s Stuyvesant Plaza is one of the Capital Region’s oldest jewelers, having served the community since 1922. Frank Adams offers some of the world’s foremost bridal ring designers and has an unmatched personalized selection of engagement rings and wedding bands. Dave Bigler Photos and Films provides an artistic approach to both creative cinematic film and stunning photography. The Bigler team has a customized hands-on approach to deliver exceptional service with upbeat, fun energy. On your wedding day, Tracey Buyce will not only be your photographer, but also a part of your family. To her, wedding photography isn’t just about couples posing for hours of photos, it’s about them getting to enjoy one of the most important days of their lives. Elario Photography Inc. is a father-son team whose style, reputation and reliability set them apart from the area’s other wedding photographers. 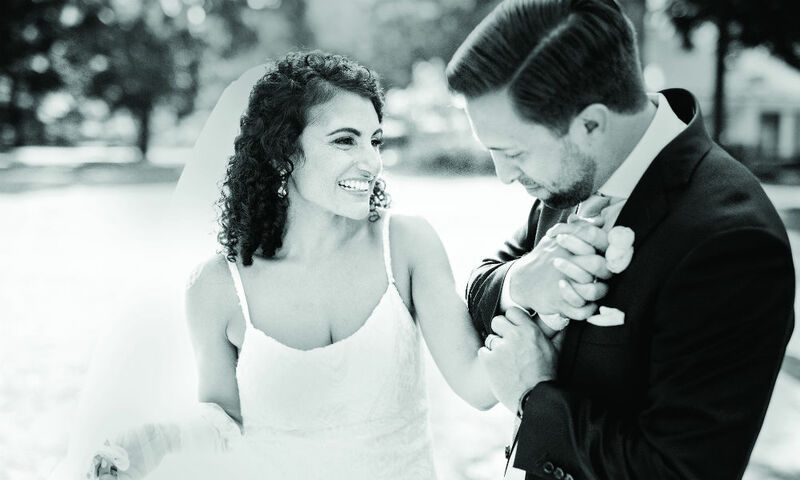 The Elarios not only cover weddings and events in Albany, Saratoga and Lake George, but also have done work in New York City, Boston and other locations outside the Capital Region. Dori Fitzpatrick is a family, wedding and magazine photographer based in Saratoga. She loves shooting outdoors, making use of natural light and capturing real moments. Matt Ramos’ ultimate goal is to give his clients incredible and cherished images, as well as an experience unlike any other. Based in Guilderland, Matt and his team work hard to shoot in a way that’s diverse, creative, fun and compelling. Dehn’s has been servicing the Saratoga area and surrounding region with its quality flower arrangements for more than 120 years. Dehn’s offers a wide selection of bridal bouquets, wedding ceremony flowers and centerpieces. 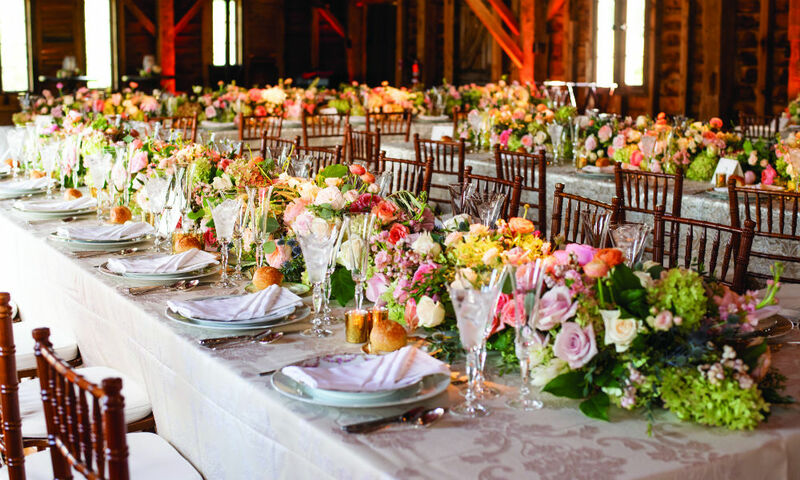 Samantha Nass Floral Design is a Saratoga-based, European-style, full-service floral design studio dedicated to creating fabulous floral and event designs. 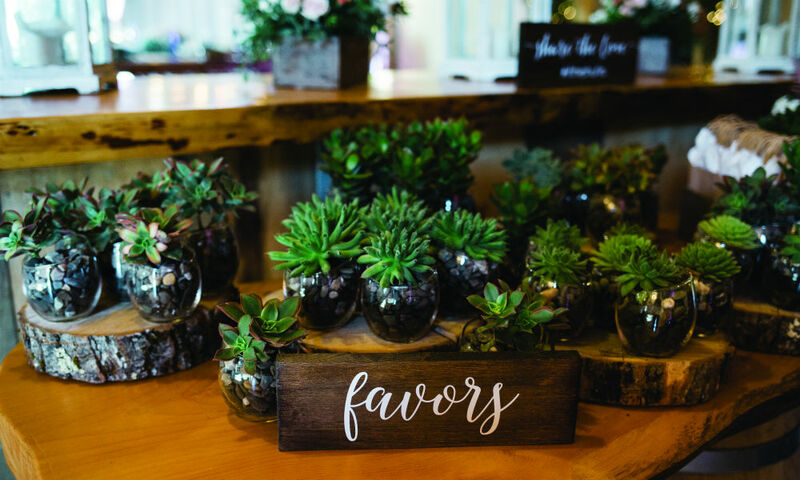 The Posie Peddler team knows that every bride has a unique style and budget and works closely with her to ensure that her big day is stunning and stress free.